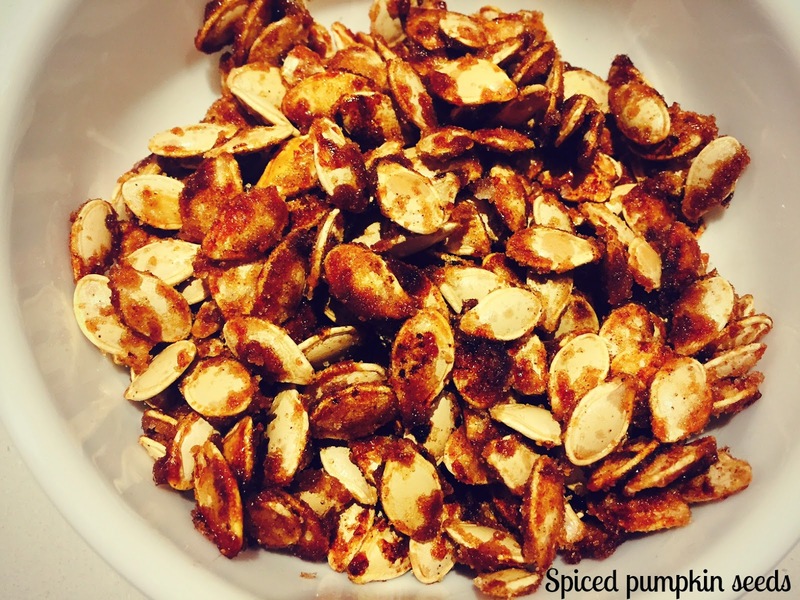 Our new favourite way to use up the insides of our pumpkins! This tasty treat kept the kids happy long after they got bored from pumpkin carving. 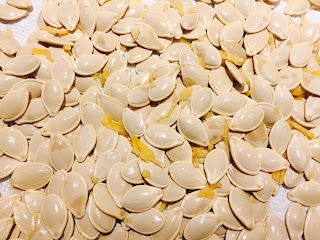 1- Wash and dry pumpkin seeds. 2- Lay flat on foil lined tray, Place in 275 oven for 45 minutes. 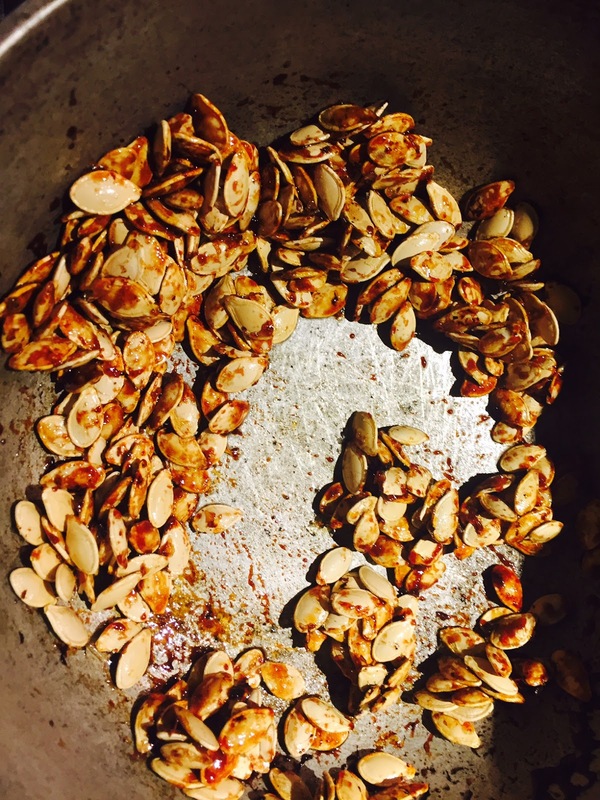 Mix the spice, half the sugar and the salt together and set aside. 3- Melt coconut oil in a pan over medium high heat and add two tablespoons of sugar. It will start to caramelise after a couple minutes. 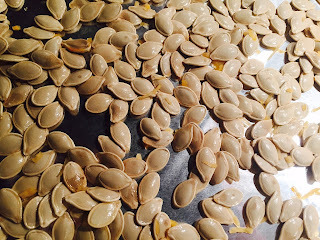 Add the pumpkin seeds and stir. 4- When well coated, add the rest of spice mixture and stir until the sugar melts. 5- Let it cool and enjoy! 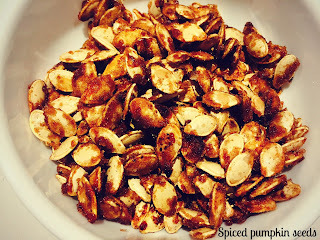 A great nutritious pre- Halloween treat before all the real sugar starts pouring in! I love the idea of using coconut oil for these! They sound SO good. 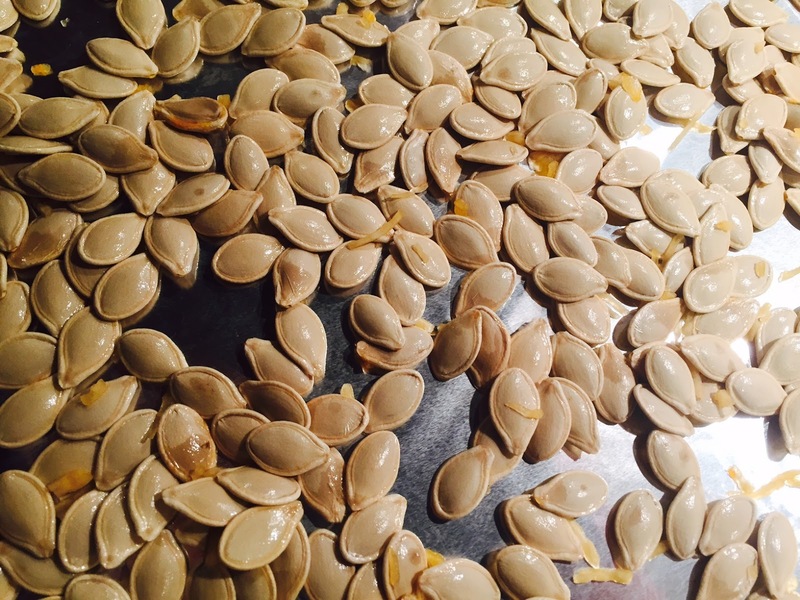 I don't think I've ever had anything else on pumpkin seeds besides salt. I'll have to try this out sometime. This looks so good! Definitely going to have to try this!